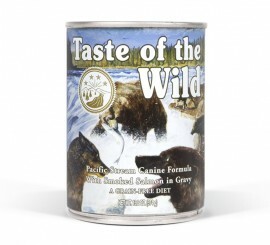 A great tasting complement to the dry Taste of the Wild formulas, the Pacific Stream Canine Formula with Salmon in Gravy will satisfy your pet’s taste for wet food. 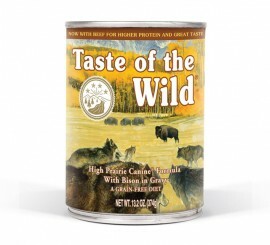 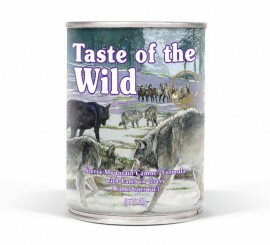 A great tasting complement to the dry Taste of the Wild formulas, the High Prairie Canine Formula with Bison in Gravy will satisfy even the most finicky dogs. 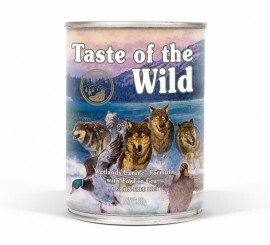 A great tasting complement to the dry Taste of the Wild formulas, the Wetlands Canine Formula with Fowl in Gravy will satisfy even the most finicky dogs.